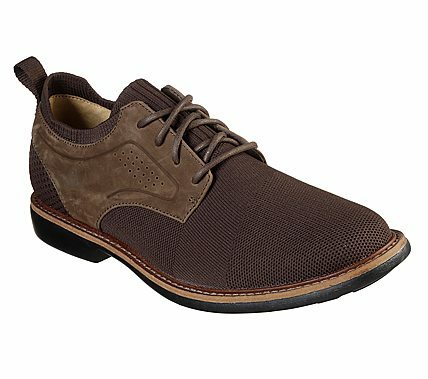 Get the best of sleek style, handsome design and soft comfort with the Mark Nason Clubman - Westside shoe. DressKnit nearly seamless knit fabric and smooth soft nubuck leather upper in a lace up dress casual plain toe oxford with woven-in detail and stitching accents. Soft socklike knit collar, Air Cooled Memory Foam insole.